World Population is 7.7 billion at present and growing. It is expected to grow to 9.8 billion by 2050. 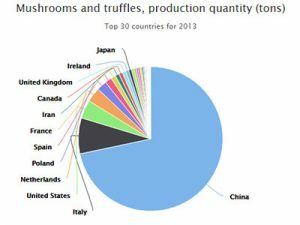 The World production of mushrooms was USD $35.08 Billion in 2015 with expected growth to USD $59.48 Billion by 2021. This would mean the Actual costs would be nearer £8.40 per hour or £10.30 in 2020 taking hidden cost into account, shown below. A good picker will pick around 20 kilos per hour. We are assuming 100% improvement i.e. 1 person doing the work of 2 people. January 2019 Minimum Wage increased to €9.80 per hour.